I’ve been thinking lately about how long an hour is (because, you know, the philosophers throughout the ages haven’t covered it to my liking) and can’t quite figure it out. Like, how does this work? One day we can be at the museum when suddenly I look up and realize we’ve been playing dress-up for hours and now have to, literally, sprint home before anyone’s eyes start drifting closed. But then yesterday, that very same hour, from 12:06 to 1:06 p.m., took essentially the same amount of time it would have taken us to drive to Minnesota. And back. Under the speed limit. With someone kicking the back of my seat the entire way. Blame it on too many rainy days, but my well of back-up projects to keep us busy and keep time moving has run a little dry. 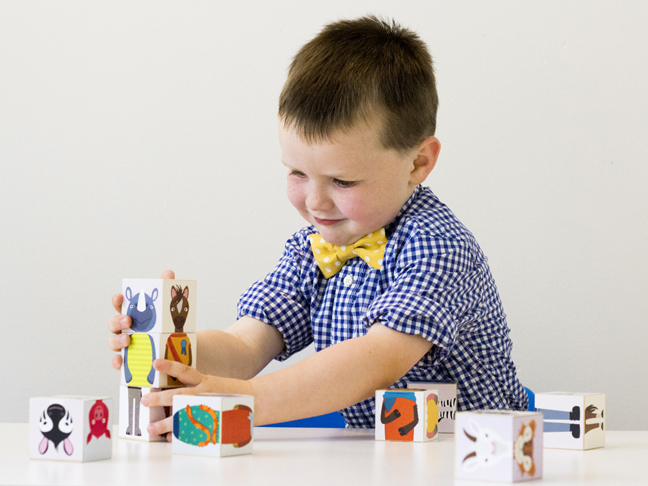 Which is why I was over the moon to discover Caravan Shoppe, a site chock-full of adorable printables, including, my favourite, their Ollibots line. 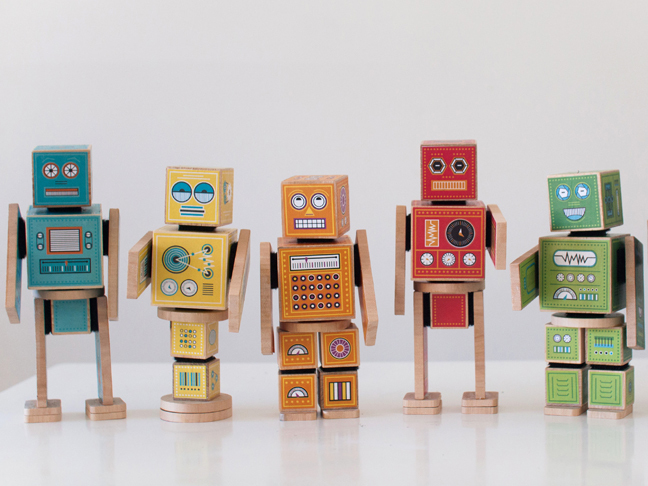 I mean, tell me these robot blocks aren’t the cutest things ever? 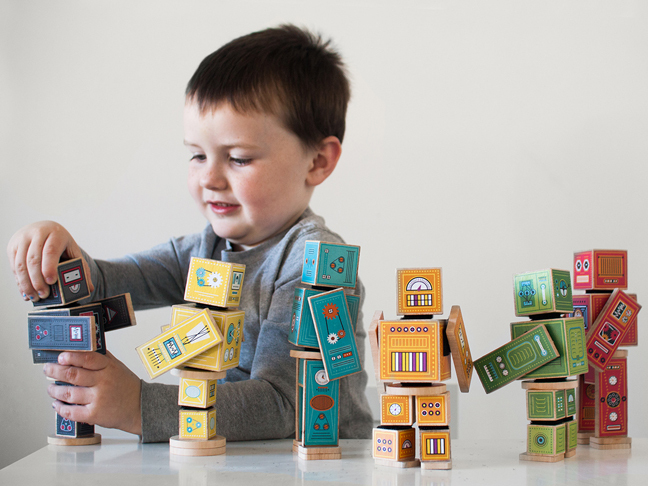 And not only do your kids get to play with them, but they can help build them! Double whammy! 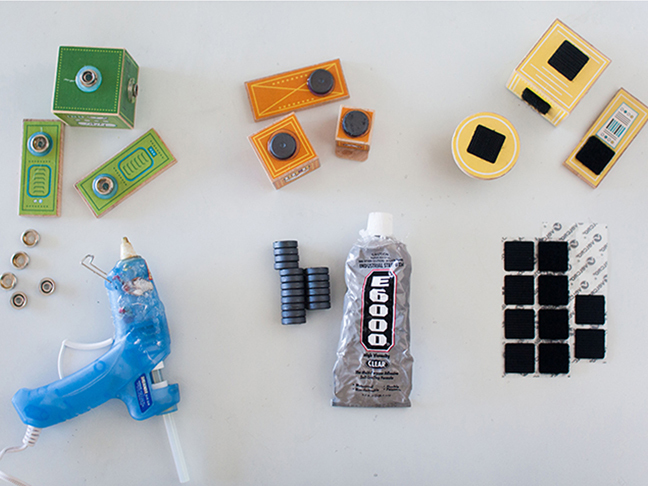 As a wannabe DIY-er, I’m wary of, well, pretty much any project because I know I’ll find all the problem spots. 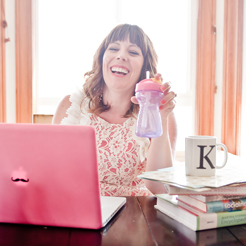 Caravan Shoppe, obviously, has worked with folks like me and have made the process super easy. They have a no-brainer supply list (you probably have everything but the blocks and maybe connectors already around the house) with detailed instructions, so you really can’t go wrong. You literally print, cut, and glue. 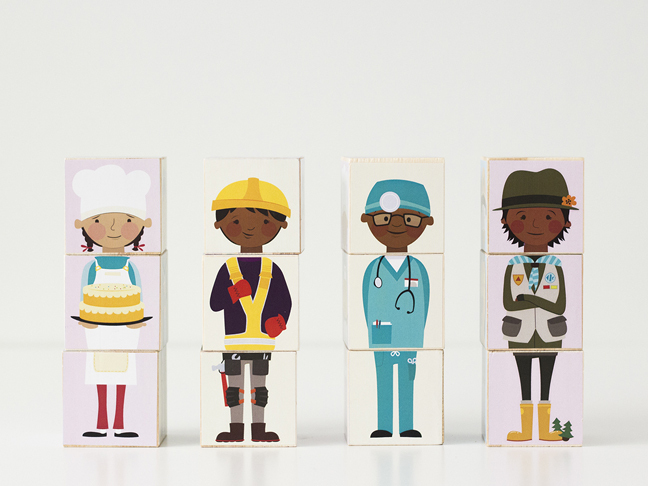 They even offer different options for putting the robots together based on your needs and child’s age. 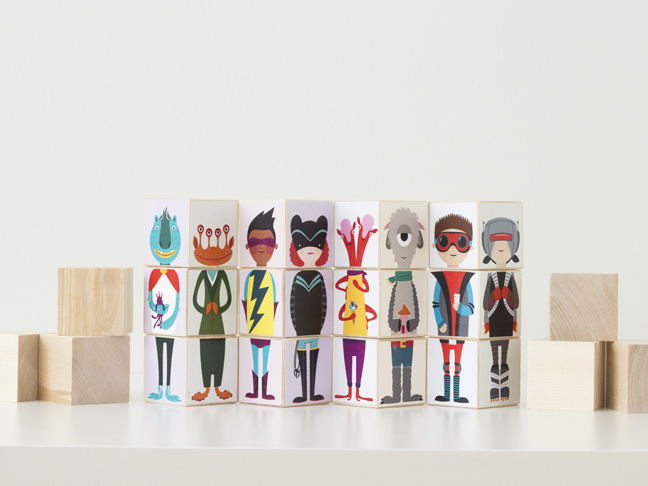 …a set of Monsters and Superheroes (which my little Super Girl would be all over), plus versions of fairy tales, zoo animals, and plain old people. It is mix-and-match heaven. A great thing about these printables is they’re easy to share! Just download once and order enough blocks for several sets, and you have birthday presents for the whole crew ready to go. To get you started on the whole printable thing, they’re offering two free printables (yes, free!) that are oh so adorable. 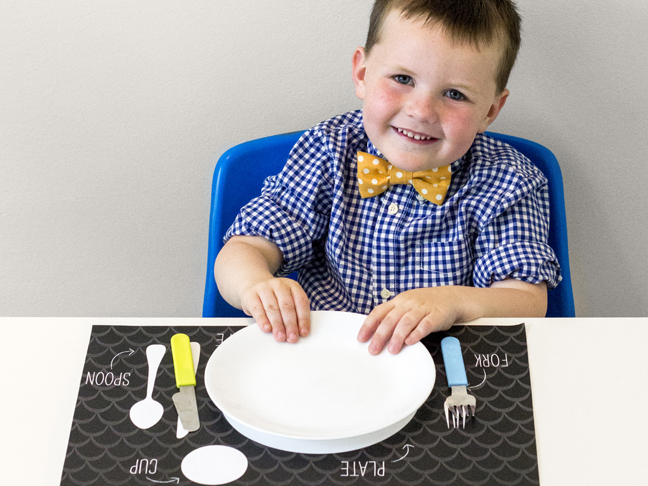 Their Placement Placemat comes in six different versions and helps teach your toddler where to properly put their table settings. Brilliant. 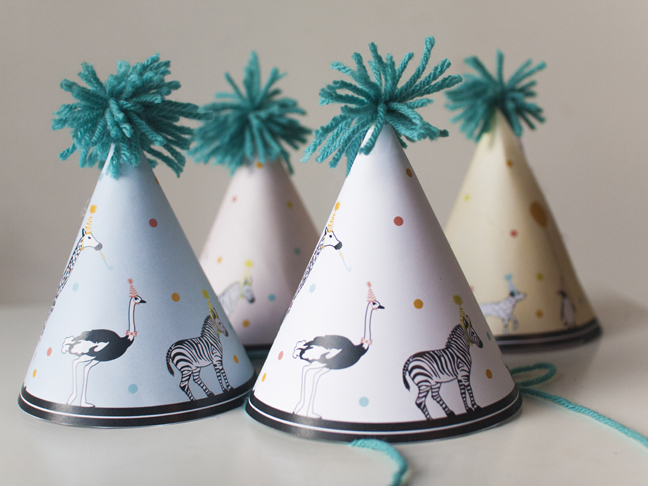 Their Signature Party Hat comes in four different colours and is perfect for everything from an impromptu indoor picnic to potty celebrations.